Představujeme výjimečnou knižní novinku, kterou spolueditovali sociokulturní antropolog Thomas Hylland Eriksen a ředitel Ústavu etnologie FF UK Marek Jakoubek. 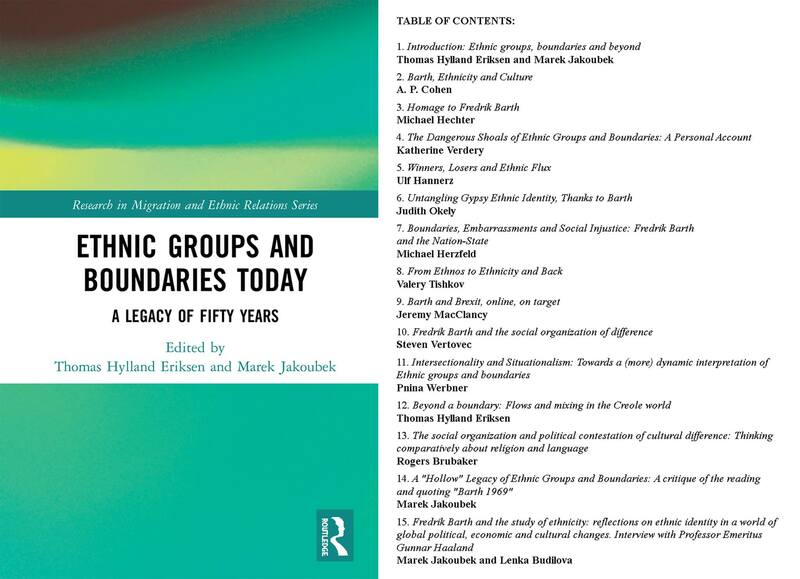 Kniha vychází při příležitosti letošních 50 let od vydání publikace Ethnic Groups and Boundaries (ed. F. Barth, 1969). Description: The publication of Fredrik Barth’s Ethnic Groups and Boundaries marked a milestone in the conceptualization of ethnicity and ethnic groups and opened a new field of enquiry in the social scientific study of ethnicity. 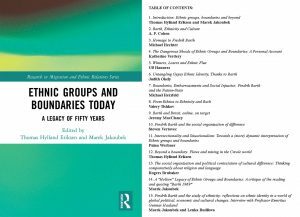 Ethnic Groups and Boundaries Today: A Legacy of Fifty Years demonstrates the enduring significance of the work, identifying its shortcomings and showcasing the state of the art today, fifty years after the publication of the groundbreaking original. Bringing together a team of leading contributors, all of whom have been inspired by Barth’s theory and have made significant contributions of their own to the theorisation and research of ethnicity, this volume assesses the theoretical approach presented in Ethnic Groups and Boundaries, both in the context of its time and with the hindsight of the developments in the social sciences since then. It emphasizes the legacy of the original text and determines its significance, whilst identifying and elaborating on the main lines of the subsequent developments of the concept of ethnicity that were influenced by Ethnic Groups and Boundaries, but that have since developed and superseded the original. As such, it will appeal to scholars across the social sciences with interests in the concept and study of ethnicity.